A couple of years back, I reviewed Marco Paoluzzo’s book about the Faroe Islands, Føroyar. This followed on from his other “Arctic series” books, Iceland and North/Nord. 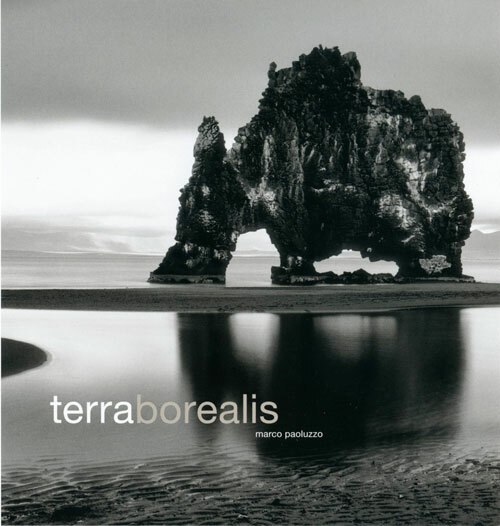 Finally, he has put together his magnum opus, Terra Borealis, with photography from Iceland, Greenland, the Faroes, Svalbard and Norway. Hvitserkur, Iceland: the cover photo of Terra Borealis. Photo © Marco Paoluzzo. Terra Borealis has been out for about 6 months (and Marco was kind enough to send me a PDF proof over a year ago), so I’ve been a bit slow to write about it. Meanwhile it has been getting good reviews in various publications, and is currently being promoted on the site of the well recommended photo book retailer, Beyond Words. So this is old news. Marco Paoluzzo is far from the typical landscape photographer - in fact I doubt he’d describe himself as that at all - even if landscapes figure large in his work. He has much more of a reportage view of the world, and is equally fascinated by the human presence in the landscape, or indeed shaping the landscape, as the place itself. He doesn’t photograph people very much, at least not in the Arctic, but he doesn’t shy away from the worst excesses of environmental damage, for example at Barentsburg, Svalbard. In this he reminds me a little of Edward Burtynsky, but less formal. He also shows a fascination with how man has managed to survive and prosper even in these harsh climates, not only in the more obvious Inuit communities, but also severe concrete constructions like those found in Kirkenes. However, landscape, or perhaps better, “place”, figures very strongly. Since he uses only black and white, and generally avoids the heavy contrast, long exposure style of others such as Josef Hoflehner, this is almost a “decisive moment” approach. It’s certainly very individual, and may not appeal to the general landscape audience. It’s also in stark contrast (ha!) to the highly colorful Iceland “standard” style piled high in Keflavik airport - or indeed found all over Flickr. And it’s all the more refreshing for that. Terra Borealis is a book that requires, and rewards, a certain degree of engagement and time. Personally it has a style which resonates with me, even if I’m no black & white photographer. There are strong undercurrents of wonder mixed with ironic humour, and more than a degree of quiet romanticism. Paoluzzo’s photography doesn’t grab you by the throat, it just invites you to contemplate for a while. My personal favourite is from the back of the dustjacket. 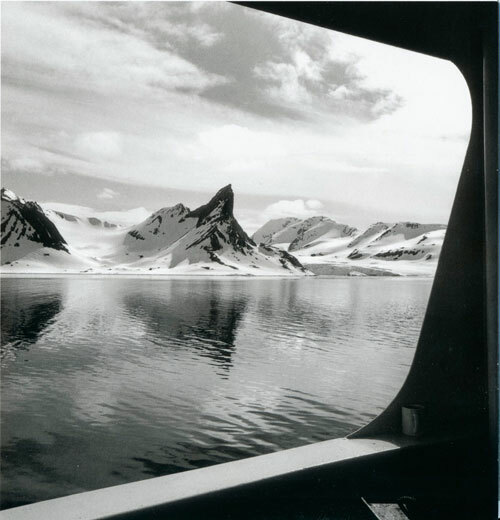 It’s a shot taken from a ship cruising up the west coast of Svalbard, and typically, Marco has framed the wild, empty landscape using the ship’s structure, and as you look, you become aware of the coffee cup tucked away in a corner, and just become part of the scene. Svalbard, observed. Photo © Marco Paoluzzo. I don’t know where he can go from here with his Arctic series. Russia maybe ? But as you can see from his web site, he has plenty more tales to tell. If you’ve got a bit of the Arctic in your soul, you need this book. But I did! Second paragraph! Speed-reading is taken very seriously on this blog, you know! That’s 5 points on your license, and a “30 days digital-only photography” community service order for you. Many thanks for flagging this one up - I will seek it out in Orell Fuessli…. Previous entry: Silverfast announces version ... 8!